Our popular design is now available with short sleeves. Prove your dedication to getting the "Lights Back On" no matter the conditions. 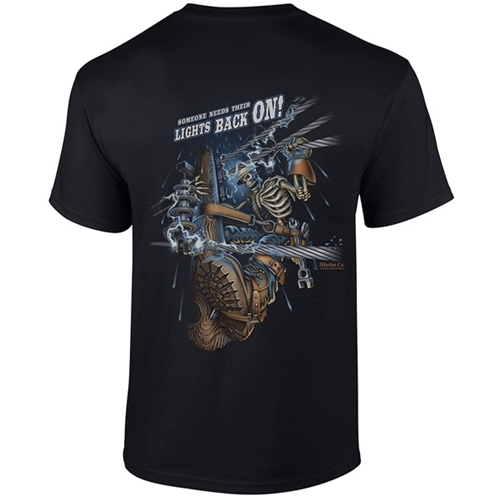 Short sleeve, preshrunk, 100% cotton, black tee shirt with front and back graphics. Shirt is imported, Printed in the USA. "Lights Back On!" Black Short Sleeve Tee CLOSEOUT has a rating of 4.8 star based on 4 reviews.